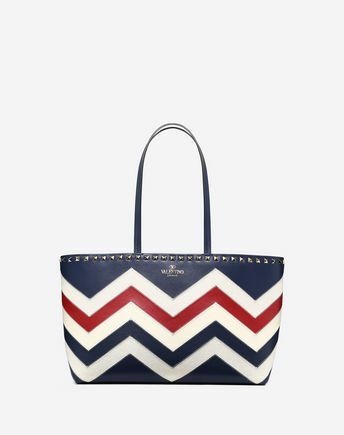 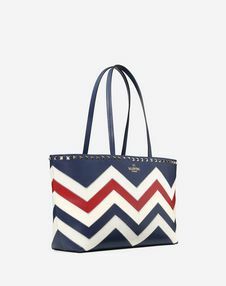 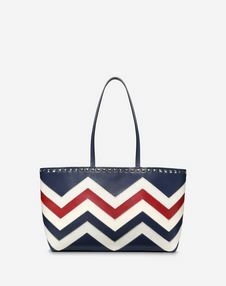 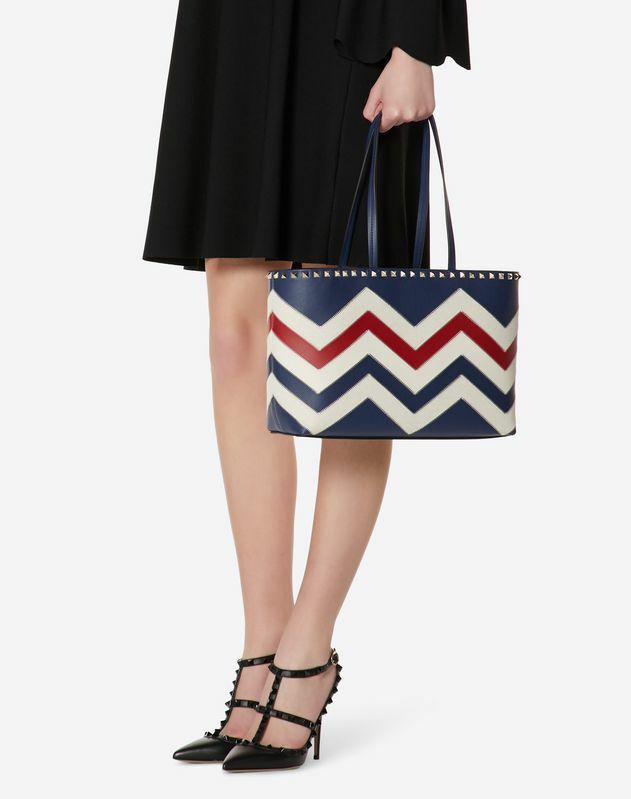 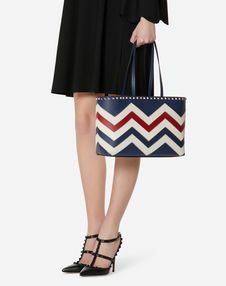 Valentino Garavani Rockstud small shopper bag. 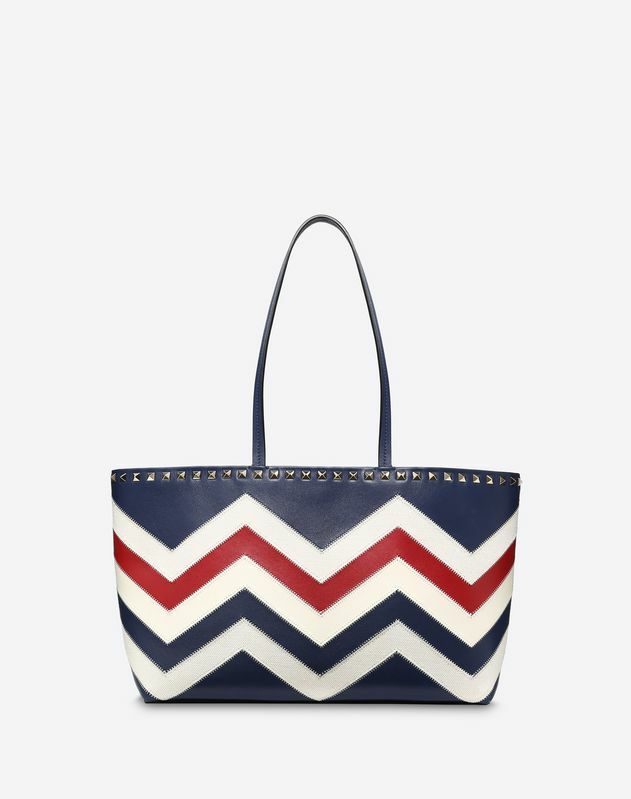 Canvas and calfskin leather chevron inlay design. 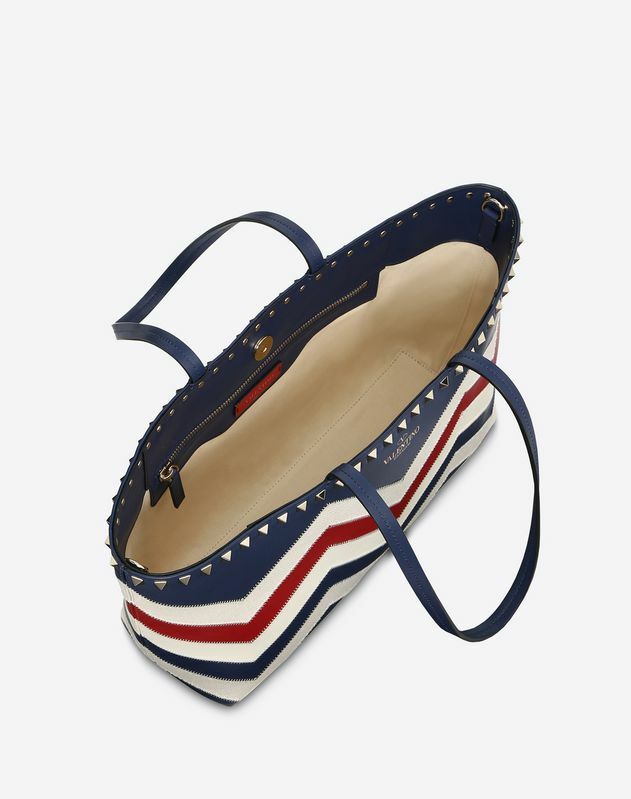 Top edge adorned with platinum studs.Comfortable to wear on the shoulder.